For our patients with braces, this would be used to clean underneath the arch wire and in-between brackets. For medium tooth gaps and general oral hygiene. Piksters bristles reach into and clean the indents on the surfaces between teeth especially at the gum line of the bigger teeth. 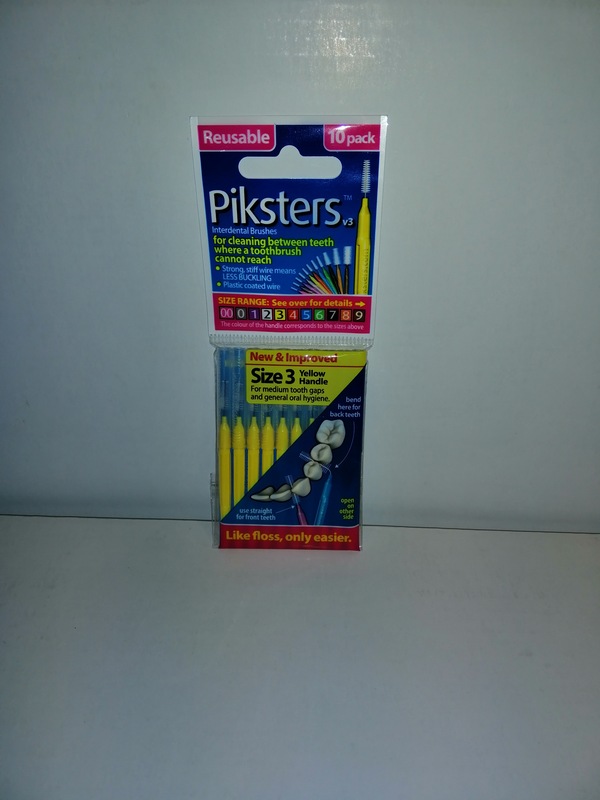 Reusable – Piksters are reusable and cost effective compared to single use disposables. Rinse between use.